THE DELPHI H2 IS THE DEFINITION OF STATE-OF-THE-ART! With the most advanced features and technology, the Delphi H2 water ionizer will provide you with years of the highest quality performance. 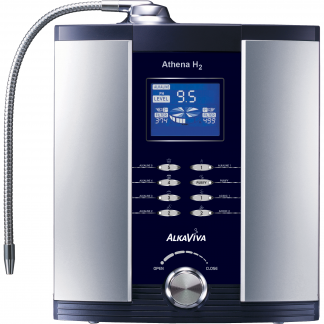 The AlkaViva Delphi H2 has has been redesigned with Hydrogen Infusion Technology. It’s brand new for 2018 and is an upgrade of the Ultra Delphi water ionizer. After a number of years in the making, the Delphi H2 is the premium undersink water ionizer model available in which features the latest technology, such as the AutoAdjust Optimizer and SmartSwitch. The H2 water ionizers are designed to be absolutely the most functional water ionizers. Through a proprietary method of converting AC power to DC the machine becomes a powerhouse for production of H2-antioxidants. INTRODUCING THE NEW DELPHI H2 WATER IONIZER – SPECIAL INTRODUCTORY PRICE! The New Delphi H2 water ionizers are so new that the stock has not arrived in the US yet. It won’t arrive until the end of April, 2018. To accommodate you for your wait time, we are offering a special introductory price. Pricing will go up to it’s normal $3195 after 4/28/18. AutoAdjust™ optimizer automatically adjusts the ionizing power giving the best performance and ionization for your particular water source. Smart Switch™ next generation SMPS power supply provides the most stable and efficient power platform. 9 high-efficiency solid platinum titanium electrodes deliver more antioxidant power than any other water ionizer. The Delphi H2 uses the most-advanced Switch Mode Power Supply technology in order to operate it’s unique AutoAdjust™ feature. 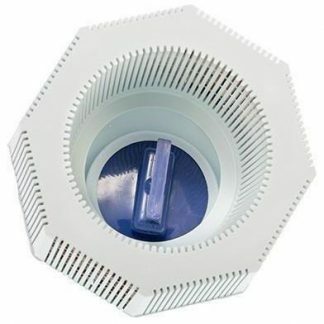 Current generations of SMPS offered by other ionizer companies cannot automatically adjust voltage on demand to match varying water conditions. The advanced SMPS used in the Delphi H2 is able to do that. SMPS is known as a power-saving option as it only uses the amount of power necessary. All ionizers have cleaning systems which are crucial to performance and durability, but all cleaning systems are not created equal. One more important advantage of AutoAdjust™, is that calcium and other minerals cannot attach themselves to the electrodes. With the electrodes switching on and off so quickly and pulsing differing widths, minerals don’t have the time or stability to form a bond with the surface of the electrode. 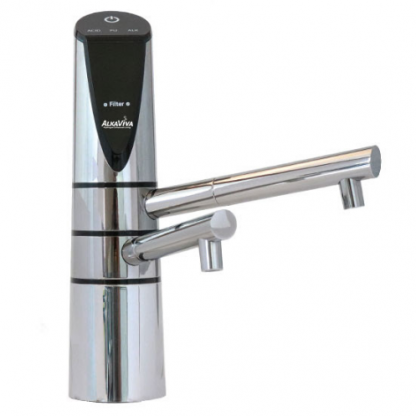 Other less sophisticated ionizer brands cause you to periodically wait for your alkaline water. The AutoClean reversal mechanism operates in the background of the Delphi H2, always cleaning and never interrupting the flow of alkaline drinking water. You never have to wait or worry. Patented dual filters consisting of 0.1 micron filters combine with space-fiber technology to efficiently filter almost any tap water. The filter life change indicator lets you know when it’s time to replace your filters. You have the ability with two filters to really make sure your water is filtered properly. 9-Ultra Efficient Electrodes Made of the highest grade Titanium / Platinum for durability and efficient ionization. Modern, Sleek Design Small footprint and elegant black and stainless-look design complement any modern kitchen decor. Experience the elegance and efficiency this ionizer! UltraWater filtration ensures you peace of mind, knowing your water is not only alkaline and ionized, but cleaned. AutoClean fully automatic post use cleaning – unlike other ionizers, never wait for your alkaline water and protect your investment. The parts within the Delphi H2 water ionizer and all AlkaViva water ionizers are of fantastic quality. They should last a lifetime. It’s very rare that any of our water ionizers would have a defective part. But for your protection, all AlkaViva water ionizers have limited lifetime-parts/labor warranties. The repair/servicing depot is located in Reno, Nevada. With all water ionizers, there is usually a small amount of residual water, left over from quality-check-testing, so plugs are placed on all water ionizer ports. Please follow these guidelines for removing the quick-connect plugs. Also, save these plugs in case you ever have to ship your Delphi water ionizer. EXCELLENT DELPHI WATER IONIZER ACCESSORIES! 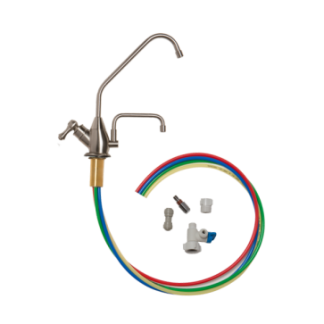 The Delphi H2 comes with the following accessories, which have 90-day warranties: diverter, user manual, flexible hose [spout], screw anchors, hose clamp, collett tool, tubing, grey hose, reagent drops, fuse. The plastics used in our water ionizers are NSF certified to be BPA free, PE free, ABS free and food grade. We are confident you will enjoy many years of great tasting and healthy water from your Delphi water ionizer. Lifetime parts & 5-year labor. See warranty details. BEST FILTRATION: THE DELPHI H2 COMES WITH ULTRAWATER FILTRATION! We have never sean anything even close to the filtration capabilities of UltraWater Filters. You can rest assured you have the very best water filters with the Delphi H2 water ionizer. Unique Ionizer I've had a lot of choices for water ionizers especially from this brand, Alkaviva. I'm glad I chose the Alkaviva Delphi H2. What attracted me initially was how it was designed. It's not as intimidating as the current water ionizers anywhere. It looks as simple as it is. I also feel secure with this device knowing that I will get an alert when its time to change filters. The one-touch setting is also amazing. And the range of 8pH levels let me know I have an option on how I want my water to come out depending on my needs.